Also known as an abdominoplasty, tummy tucks are a great surgery option for patients who have excess fat and loose skin on their abdomen. Tummy tucks are one of our most popular procedures at our Miami plastic surgery office. If you’re interested in receiving a tummy tuck yourself, it’s important to find out if the procedure is right for you and to familiarize yourself with the different steps of the procedure before you decide to have one for yourself. Continue reading to discover if a tummy tuck in Miami is the right choice for you. Before we dive into the details of the surgery, you should first know what a tummy tuck is, to begin with. Tummy tucks or abdominoplasties are a plastic surgery procedure that removes excess fat and skin from the abdomen and also repairs separated or weakened muscles to help you achieve a smoother and firmer abdomen and profile. In most cases, the procedure is performed on patients who are unable to lose the excess skin or fat with exercise and diet. There are a number of factors that can cause excess fat or loose skin in the abdomen. Before you receive a tummy tuck, you should know that tummy tucks do not act as a substitute for weight loss or an exercise program. The results from your tummy tuck are permanent, however, if your weight fluctuates, this can become inaccurate. We recommend tummy tucks for patients who are not planning to lose weight or have another pregnancy in their future, otherwise, the results will be lost. Those considering a tummy tuck should also be willing to maintain their current weight. Tummy tucks cannot fix stretch marks. If the skin removed contains stretchmarks, however, they may improve in appearance following the procedure. Am I a Candidate for a Tummy Tuck in Miami? Now that you know what a tummy tuck, it’s time to find out if it’s the right procedure for you. Each procedure is individualized at our Miami plastic surgery office. No two tummy tucks are the same. During your consultation, Dr. Lenny will examine you to determine if a tummy tuck is right for you and how it will help. How Much Does a Tummy Tuck in Miami Cost? According to the American Society of Plastic Surgeons, the average tummy tuck is $5,992 in 2017. There is no one set number for this surgery as the costs vary per person. You can use this average number to get an idea of how much it will cost prior to meeting with a board certified plastic surgeon in Miami. When it comes to tummy tuck surgery, there are a number of factors that contribute to the cost of the surgery. Among these include the anesthesia, operating room expenses, the surgeon’s fee and more. The cost for a tummy tuck will vary from doctor to doctor. It’s important to choose your plastic surgeon not based on their price, but based on their qualifications and whether or not you feel comfortable with them. We recommend to always choose a board certified plastic surgeon to receive the best results possible. When you’re ready, you can give our Miami plastic surgery office to schedule your consultation with Dr. Lenny. During your consultation, we will go over a number of items in order to determine if a tummy tuck is right for you, the price, your goals and more. During your consultation, it’s important to be as honest as possible so that we can evaluate you in the best way possible. This will determine if the surgery is right for you and notify us of any risks we need to watch out for or be aware of. Your health depends on this consultation during your procedure. Our goal is to help you achieve your goals while being as safe as possible. You can also spend time during your consultation asking Dr. Lenny all of your questions about the tummy tuck procedure. We recommend making a list and bringing it with you so you don’t forget anything. You might feel anxious or excited during your consultation which is completely understandable. Just be honest with us about how you’re feeling and we’re here to help relieve your stress and make your procedure easier on you. What special training or how many years of special training have you had? Can I see another patient’s before and after photos and testimonials? What technique do you recommend for me? How much will the tummy tuck cost? What are the complications and risks of tummy tucks? What will my stomach look like over time? What if I get pregnant in the future? What should I do if I dislike my results? Of course, with any surgery, there are going to be risks. It’s important to know these risks ahead of time and to make your plastic surgeon aware of all of your medical conditions for best results. After reading through these risks, it’s up to you if you think that the benefits of your tummy tuck will outweigh the potential risks. Before your procedure, you will sign a consent form that shows that you understand the procedure and potential risks. Before your tummy tuck surgery, you will need to complete a few tasks. 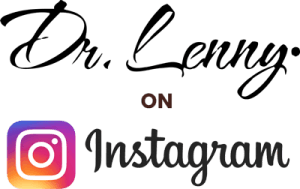 Dr. Lenny may first require that you get lab testing and/or a medical evaluation to verify that you are healthy enough for surgery. Following that, you will be instructed to stop taking certain medications or even adjust some of your current medications. If you’re a smoker, you will need to quit smoking before surgery. Lastly, you will be instructed to stop taking anti-inflammatory drugs, aspirin or herbal supplements that can increase bleeding. You should arrange for a ride to and from your procedure because you won’t be able to do so yourself. In addition, we recommend that you arrange for someone to stay with you for the first night after your surgery. Now that you know about everything that leads up to your surgery, it’s time to find out just exactly what happens during your surgery. The first step of your tummy tuck surgery is administering the anesthesia. This is given to you so that you don’t feel any pain during your surgery. You will be given general anesthesia. It will feel like you’re falling asleep and you won’t remember anything. After you are under anesthesia, Dr. Lenny will need to make a large horizontal incision between the belly button and pubic hairline. Some patients may require different shapes and different incision lengths depending on how much excess skin they have. After the incision is made, Dr. Lenny will lift the skin and repair the abdominal muscles. Some patients may require a second incision around the navel in order to remove additional excess skin in the upper abdomen. The skin of the upper abdominal is then pulled down like a window shade and the excess skin is trimmed. Dr. Lenny then sutures the skin together. Lastly, he creates a new opening for the belly button and pops the belly button through into its new position where it’s sutured. The last part of your surgery will involve Dr. Lenny using sutures, tapes, clips or skin adhesives to close all the skin incisions. Although you won’t see your actual results until you’re healed, your stomach will already look noticeable flatter and firmer following the surgery. Recovering from your tummy tuck may be painful for the first few days. We recommend that patients apply bandages or dressings to their incisions to minimize swelling and to support your abdomen after surgery. You may have small thin tubes under your skin to drain excess fluids or blood that can collect. Dr. Lenny will provide you with instructions for how to care for your surgical sites, the medications you need to apply or take to help with healing and reduce infection, any specific concerns to look out for, and when you should follow up with him. Make sure to not subject your surgical incisions to any force, abrasion, or motion while you are healing. Now that you’re recovering from your surgery, you might be wondering what results you can expect from your tummy tuck. It may take a few weeks before you are completely healed and can see your results. During the first couple of days, you will be swollen and it can be painful to stand up straight. Don’t be alarmed if the results you see in the mirror are not the ones you thought you would end up with. Be patient with the healing process. After a week or two, the swelling will go down and the pain will lessen. You will then be able to stand up straight and see a flatter, firmer and more contoured abdomen that matches your weight and body type! If you have had any previous abdominal surgeries, this may limit the results of your tummy tuck. If you have had a caesarian section, the existing scars from that procedure may be incorporated into a new scar from your tummy tuck. Dr. Lenny does the best that he can to ensure you have minimal scarring, however, tummy tucks are large procedures and there is no way to avoid scarring. Your tummy tuck scar will fade to its permanent shade in a few months to a year after the procedure. We recommend using scarring cream to help fade it. If you’re ready to see how a tummy tuck can potentially help you, it’s time to give Dr. Lenny a call at our Miami plastic surgery office to schedule a consultation. Your consultation will give you all the information you need to decide if a tummy tuck is the right option for you. Give us a call or fill out our online form to request a consultation with our Miami plastic surgeon today. We look forward to helping you become happier with your appearance.